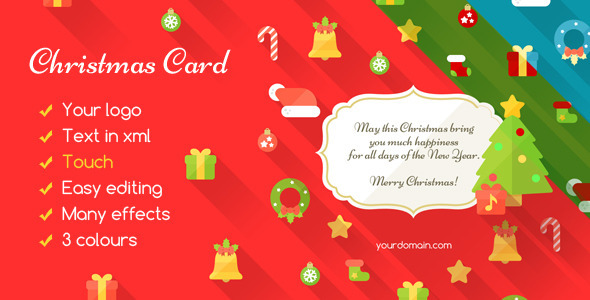 Show your friends how much you and the customer appreciates the Christmas card with a modern, flat style. There are many animations and effects, and you can choose a color between the three that came with the card. And there’s a beautiful song. You can see the animation on the tablet and phone, because the card was made with html5. Fully touch! The arts are included, are 3 color cards and even has a help file.